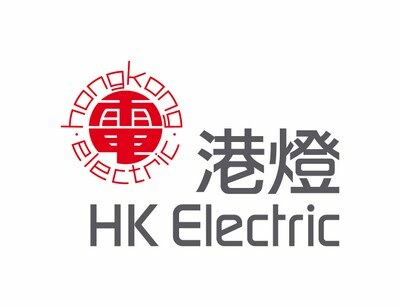 The Institution of Engineering and Technology Hong Kong [IET Hong Kong] is the second largest overseas branch of the IET, UK' s largest professional engineering institution, and also the world's largest professional engineer awarding body. Besides, organizing activities for professional engineers and engineering students, IET Hong Kong organizes different STEM programs for youth. Over years, IET Hong Kong has been organizing Hong Kong Regional of the MATE International ROV Competition and underwater robot challenges for senior students. This year IET Hong Kong organizes the 14th Hong Kong Regional of MATE International ROV Competition, and IET Hong Kong Experience Class on 27-28 April 2019 at Tsueng Kwan O Swimming Pool. The Marine Advanced Technology Education Centre [MATE](located in California, USA), in association with the Marine Technology Society's ROV Committee, has been organising the International Remote Operated Contest for the past seventeen years. This is aimed at school, college and university students. The IET Hong Kong will again also invite teams from Hong Kong, Macau, Taiwan and China to take part in the final contest day of the 13th Hong Kong Regional of MATE International ROV Competition. The winning teams will be nominated to join the MATE International Competition in Kingsport Aquatics Center, Kingsport, Tennessee, USA in June 2019. As usual, there will be a regional registration fee other than registration fee directly paid to the MATE in accordance with MATE Centre guidelines. In addition, the IET Hong Kong also provides different learning experience for junior students through the IET Hong Kong Experience Class. So far over 100 schools have taken part in the event in Hong Kong, with nearly 500 schools taking part each year around the world. The 14th IET/MATE Hong Kong Regional of the MATE International ROV Competition is open for the teams from Hong Kong, Macau, Taiwan and China. Participants are invited to join either EXPLORER or RANGER class in the competition. The EXPLORER / RANGER class follows the MATE International ROV Competition missions and rules. Teams meeting the MATE EXPLORER / RANGER qualification criteria are eligible for entry to the MATE International ROV Competition. •	Community colleges and universities EXPLORER teams must demonstrate their vehicle at a regional event or via video submitted to MATE headquarters before advancing to the international competition. o Regionals with 5 - 10 individual schools/organizations send the top ONE team to the international. o Regionals with 11 - 20 individual schools/organizations can send the top TWO teams to the international. o Regionals with 21+ individual schools/organizations can send the top THREE teams to the international. o If there are less than or equal to 10 individual schools participating, the top ONE winner advances to the international. o If there are more than 10 individual schools participating, the top TWO winners can advance to the international. - Passed the safety inspection. - Achieved a demonstration score of at least 100 points, not including size and weight, safety, or organizational effectiveness. - Achieved a combined Engineering and Communication score of at least 100 points, not including the company spec sheet or corporate responsibility. - Successfully passes the safety compliance video administered by the MATE ROV Competition. o Teams from countries outside of Hong Kong except China will advance to the international under the same guidelines as stipulated above. o If there is more than one team from a given country, the top ONE winner from that country advances to the international competition. Remarks:The participating team has also paid the additional registration fee to MATE Centre. The details are listed in the following notes  and . 2. Participating teams will be registered in first-come-first-served basis. 3. Regarding the number of teams in RANGER Class, the maximum number of teams per school / community organization of comparable grade levels is two. The first team will have higher priority to participate in the competition. The second team will ONLY be considered provided that there are no common students, i.e. students can only participate in one team, and there be vacancy existed after the date of standard registration closed. Those successful second teams will be confirmed via separate email by 04/03/2019. 4. The winning teams may be invited to participate in promotional activities for the event, such as exhibitions / seminars / roadshows / interviews, etc. 5. All Explorer and Ranger teams have to FIRST register themselves with the MATE ROV COMPETITION Hong Kong and then to register with the Hong Kong Regional. 6. For Explorer teams registering to the MATE, please use the discount code: "RACOONSKINCAP" to register. Explorer teams will then be charged US$140 per team. After that, Explorer teams also need to register with the Hong Kong Regional to pay for Regional Registration Fee as stipulated. 7. For Ranger teams registering to the MATE,Ranger teams will be charged US$120 per team. After that, Ranger teams also need to register with the Hong Kong Regional to pay for Regional Registration Fee as stipulated. Submission of technical report, specification sheet, Company Safety Review and SID. Submission of JSA is optional.